I posted my own contribution at the bottom...but, oh heck...I'll post it here as well! About a month ago I did an interview with an Ezine which got posted and indexed by Google. As I am the author of a mystery series that features a detective and his girlfriend who are also musicians, much of the interview touched on musicians, famous and otherwise, that I'd met over the years. Within days it was picked up by dozens on music websites and then indexed and passed onto more featuring some of these musicians and so on, and so on. Valuable lesson learned? Never pass on any opportunity to promote you and your works. In todays wonderful world of the internet, it's amazing how far a few words will go! These days, the typical life span for a work of fiction is measured in months: that means that your book, unless it's selling very well, will one day probably be off the shelves and out of print. First, check the out-of-print clause in your contract. Chances are that rights revert to you after a specified period of time. You may have to request that reversion in writing. Once you have the confirmation of owning the rights again, there are things you can do with those rights. The best thing. of course, is to have your agent look for a new publisher. If that fails and you have a reasonable marketing plan for th ebook, you might consider placing it with one of the many Print-on-Demand publisher (Xlibris is one). You should also explore the programs available through Amazon to make your book availabe electronically as a PDF or e-book. Just remember: like the man said'it ain't over 'til it's over. Authors, Let Readers Meet You! Attention authors and poets from North America and Canada! Get listed for free on my two pages, Readers Meet Authors from Alabama to Wyoming! (for authors residing in America) and Readers Meet Authors from Alberta to Yukon! (for authors residing in Canada). The Canadian page is new (just created it today) so it only has one listing. Please help fill these two pages up and join about 40 American authors! These pages are based on where you currently live, not where you were born. Go to my site at http://www.shirleycheng.com and click on Readers Meet Authors (for Authors) in the pink box toward the box...follow the directions exactly when it jumps you to the directions. Spread the word to all you know! 1. When e-mailing a radio host, briefly introduce yourself and what you do, and explain why you would like to be a guest on their show. Be brief and write in short, simple paragraphs. Always paste a one-page information outlining your topic and field of expertise in the e-mail. by giving the main points or talking topics/subject areas. 3. Confirm each radio appearance (date, time, number to call, and what time to call if the guest has to call in )with an e-mail or a call a few days before the show. 4. Ask the host if they would like to have more information from you. It is best to keep an electronic media kit so you can just e-mail the information rather than mailing it (if they accept attachments, of course...be sure to ask if they do before e-mailing any attachments). 5. Prepare yourself for the show with questions you think the host might ask you. I personally don't physically keep notes; instead, I store everything in my mental treasure box. 6. During the interview, if the host makes a mistake introducing who you are, your company, or what you do, promptly but courteously correct them so they won't make the same mistake the next time and so the listeners can receive the correct information. The host would thank you for it. 7. Have fun during the interview and smile. People can easily tell whether or not the guest is having a good time. Be relaxed; don't feel nervous. Hosts and listeners are just people like you and me. 8. After the show, send the host an e-mail thanking them for a wonderful interview and let them know that you'll be glad to be their future guest. There are many other tips (i.e. standing as opposed to sitting down during an interview), but they don't apply to me personally and/or are suggested by many others (i.e. stay on topic, use easy language, etc.). Shirley Cheng, a blind and physically disabled 23-year-old motivational speaker, poet, author and contributing author of eight books, will inspire the listeners of The Phil and Scotty Show on Tuesday, October 17 at 8:15 a.m. Eastern Time. Tune in to the live show on am 920 CKNX (midwestern Ontario, Canada). "I've made it one of my life's missions to touch as many people as I possibly can to bring humor, hope, and healing; and I hope to empower, inspire, and motivate the listeners to go for their gold medals in life as I have gone for mine despite insurmountable challenges," says Cheng. For more information about Cheng and her books, visit http://www.shirleycheng.com. Hudson Valley's motivational speaker and author Shirley Cheng will be holding a book signing during the Mid-Autumn Festival sponsored by Mid-Hudson Chinese Community Association (MHCCA) on Sunday, October 15, 2006 from 3:30 p.m. to 5:30 p.m. at Roy C. Ketcham High School (99 Myers Corners Road, Wappingers Falls, NY 12590). Some of the proceeds from Cheng's signing will go to Christian Blind Mission International to aid the blind and physically disabled people in 113 developing countries. The books she will sign include her inspirational autobiography "The Revelation of a Star's Endless Shine: A Young Woman's Autobiography of a 20-Year Tale of Trials & Tribulations" and "101 Great Ways to Improve Your Life, Volume 2", which she co-authored with leading experts like Jack Canfield, John Gray, and Richard Carlson. Cheng will also take pre-orders for the latest installment in the bestselling "Wake Up...Live the Life You Love" series, to which she contributed, along with highly notable people including Carla and Lou Ferrigno, TV's the original "Incredible Hulk" and neighbor on the network television comedy show, "King of Queens"; Dr. Wayne Dyer; and Tony Robbins. Being both blind and physically disabled herself, Cheng expresses a strong desire to help those who are not only stricken by hunger and wars but also by their disabilities. "Being blind or disabled is already hard enough without having to endure the suffering resulting from natural catastrophes or economic barriers. I have always wished to help anyone in need, and this is my chance to do so. I hope people will support me in this good cause," says Cheng. I just wanted to share with you all some happy news regarding my second book signing at Borders (which was yesterday). After we (my mother and I) arrived and noticed they only had one copy of each of my titles they ordered on display, we were puzzled because they should have 17 display copies. "We sold them!" was the answer we received when we asked. I was almost speechless when I heard that. They had sold 14 of the display copies before my signing and just reserved the last display copy for each title. I wonder if more copies would be sold if they had more; guess I'll never know. On another note: I always bring a newsletter signup sheet to my signings, so I've got a handful of people signing up for my newsletter, Inspiration from a Blind, yesterday. I also gave out my bookmarks and business cards to anyone who passed by. If a Blind Writer Can Write and Publish Her Own Books, So Can You! Writing and publishing is a process that is both challenging and rewarding for most people, especially for those who are blind and physically disabled, and this is the case with me. Having lost my eyesight at the age of seventeen, I no longer could express myself in my artwork, so I turned to writing to share with others my imagined worlds and creations. I became an author at the age of twenty, completing three books within one year. I wrote my books using a screen reader, a computer software that reads what's on the screen and tells me which keys I type. It has great functionality that enables its users to use most computer programs with relative ease. When I first started out as a professional writer, I was clueless to as what I should do to publish my books. I never heard about self-publishing or print-on-demand-technology, nor did I know that traditional publishing is not the route for everyone. I began by researching on the Internet and joining discussion e-mail groups consisted of writers, publishers, editors, and other professionals in the publishing world. I searched for publishers, and learned what to look for in a publisher. For my first book, I first published it with a small publisher who uses print-on-demand technology. It differs from many other print-on-demand publishers in that they review manuscripts in order to accept those of high quality before accepting them for publication. I was thrilled when my book was accepted, and in a matter of a few months, it was published. For my following two books, I decided to self-publish them through Lulu.com. Although Lulu.com is listed as the publisher since I bought my ISBNs through them, I still consider myself as a self-publisher, for I have completed every self-publishing task, including formatting my manuscripts, on my own without eyesight; I had to upload the formatted ready-to-publish pdf files onto Lulu's servers, set the binding type, color, specification, pricing, etc.. I also found editors and artists to design my covers. Lulu.com primarily acts like a printer. Whenever I need more copies of my books, I simply order them through Lulu.com at the printing cost without any other fee associated with it. Lulu also fulfills my orders when people order my books through them or from Amazon.com and other booksellers, like brick-and-mortar bookstore managers. Publishing through Lulu has been a wonderful experience. Since I do everything myself, depending solely on a computer, and cannot travel to any printers, using Lulu's printing services have been a dream come true for me. Yes, a blind can do all that just with plenty of passion and faith! I also enjoy appearing on radio shows, holding book signings, and I am in the process of scheduling speaking engagements in my area. During this grueling competition two teams of two writers will be pitted against each other to write short stories based on live audience participation. It is a mix of Whose Line Is It Anyway? and Just for Laughs. Filming of Cheryl's episode takes place on October 11th (Cheryl and her husband's 20th wedding anniversary) at 6:00 pm. The air date has yet to be announced. 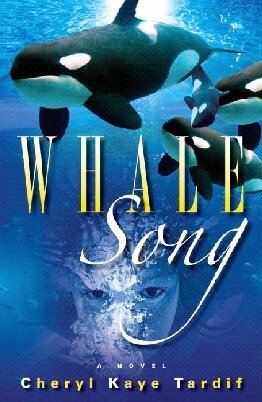 Cheryl is the author of The River, Divine Intervention and the upcoming 2007 Kunati Books release Whale Song, an expanded special edition of her 2003 debut. A few months ago, she entered the 3-Day Novel contest that was produced by Book TV. She was not selected to participate. So she entered 'A Total Write-Off', expecting the result to be the same. A Total Write-Off will air as 13 half-hour episodes. It is a fast-paced and fun television series where two teams of writers match wits in a writing showdown as they compete to create short stories based on spontaneous audience suggestions. With comedian Barbara North as host and ringmaster, it's a hip Whose Line Is It Anyway? meets Just for Laughs for both wordsmiths and fans of the written word. Yes, I have something to share with you already. :) I have a book signing coming up this Friday, the 6th of October. It'll be my second signing at Borders Books & Music in less than two months. My first signing there (which was my first signing at a bookstore) was on August 12. My inspirational talk was very well-received; a teacher from a local high school even cried. So I've been invited back to hold another signing. Even though it was quite a small turnout (nine people, including my dear mother), I had a great time. Life is all about having fun and building happy memories with those you care about...I plan to have another happy moment to add to my memory book deep in my heart this Friday. If you'll be by the area, please do stop by! Let your friends and family know. You'll be supporting a great cause. Thank you...I certainly hope to "see" you there! To aid the blind and physically disabled victims of poverty, natural catastrophes, and medical and educational disadvantages in over 113 developing countries, Hudson Valley's author and poet Shirley Cheng will be holding a book signing and giving an empowering talk and donating some of the proceeds to Christian Blind Mission International. The book signing will be held at Borders Books & Music (1820 South Road, Wappingers Falls, NY 12590) from 7:00 p.m. to 9:00 p.m. Eastern Time on Friday, October 6, 2006. Her inspirational talk is titled "I'm Not Disabled, I'm Ultra-Abled" focusing on her autobiography, "The Revelation of a Star's Endless Shine" and on her trials and tribulations and how she has overcome them with a bright attitude, coming out as a winner each and every time. The books she will sign include her inspirational autobiography "The Revelation of a Star's Endless Shine" and "101 Great Ways to Improve Your Life, Volume 2", which she co-authored with leading experts like Jack Canfield, John Gray, and Richard Carlson. Cheng will also take pre-orders for the latest installment in the bestselling "Wake Up...Live the Life You Love" series, to which she contributed, along with highly notable people including Carla and Lou Ferrigno, TV's the original "Incredible Hulk" and neighbor on the network television comedy show, "King of Queens"; Dr. Wayne Dyer; and Tony Robbins. Shirley Cheng, (b. 1983), a blind and physically disabled author and poet of five books by age twenty-three, has had severe juvenile rheumatoid arthritis since only eleven months old. Owing to years of hospitalization, she received no schooling until age eleven. Having mastered grade level in all areas after only about 180 days of special education in elementary school, she was transferred to a regular sixth grade class in middle school. Unfortunately, Cheng lost her eyesight at the age of seventeen. After a successful eye surgery, she hopes to earn multiple science doctorates from Harvard University. "Although I'm blind, I can see far and wide; even though I'm disabled, I can climb high mountains," says Shirley Cheng. "Let the ropes of hope haul you high!" Cheng is the author of "Daring Quests of Mystics" (ISBN: 1-4116-5664-4), a soothing read to relax the mind, body, and spirit; an empowering 700-page autobiography, "The Revelation of a Star's Endless Shine: A Young Woman's Autobiography of a 20-Year Tale of Trials and Tribulations" (ISBN: 1-4116-1860-2); and "Dance with Your Heart: Tales and Poems That the Heart Tells" (ISBN: 1-4116-1858-0), an anthology of inspirational and fantasy short stories (fairy tales, fables, and myths) and poems for the heart from the heart. With highly acclaimed experts like Dr. Wayne Dyer, Tony Robbins, and Brian Tracy, Cheng co-authored "Wake Up...Live the Life You Love: Finding Your Life's Passion, Second Edition," the latest installment in the bestselling "Wake Up...Live the Life You Love" series; she is also the co-author of "101 Great Ways to Improve Your Life, Volume 2," along with leading experts Jack Canfield, John Gray, Richard Carlson, Alan Cohen, Bob Proctor, et al. In "101 Great Ways to Improve Your Life, Volume 2," Cheng's chapter, "Dance with Your Heart: How to Befriend Your Heart and the World Around You," gently teaches the readers how to achieve spiritual affinity with themselves, then with others around them. "I've made it one of my life's missions to touch as many people as I possibly can to bring humor, hope, and healing," says Shirley, whose personal motto is "A dancing heart teaches true." Cheng is also an advocate of parental rights in children's medical care, and aide/caregiver monitoring and screening for students with special needs and disabled people. As a parental rights advocate, she wants to help today's loving parents protect and keep custody of their children. "When doctors ask yes or no, parents should have the right to say no," says Cheng, who is the survivor of the 1990 five-month internationally broadcast news of her mother's custody case against a doctor. Juliet was on CBS This Morning with Paula Zahn. Cheng promotes aide advocacy for the disabled because she was mistreated and abused by one-to-one aides when she attended public schools. "The trouble with the uncaring aides actually lies in the authorities," she says. "If they listened to my complaints and kept a close watch on the aides, I wouldn't have gone through all the suffering." Cheng is available for interviews, speaking engagements, book signings, and inspirational events. She has been on over twenty radio shows, including Cynthia Brian's Be the Star You Are! for three times, The Donna Seebo Show, and Stu Taylor on Business. In 2004, Cheng was featured in World Journal, the largest Chinese national newspaper in North America. I'm honored and delighted to be a part of the blogging team. I'm highly thankful for Cheryl for her kind invitation! Before I post anything, I thought I'd introduce myself so you all can get to know me better. I welcome you to visit my site at http://www.shirleycheng.com to learn more about me, my books, and what I do, and to listen to some of my radio interviews. I'm Shirley Cheng. I'm a blind and physically disabled 23-year-old motivational speaker, poet, and author and contributing author of eight books, two of which I co-authored with highly acclaimed experts like Dr. Wayne Dyer, Jack Canfield, and John Gray, including the latest installment in the bestselling Wake Up...Live the Life You Love series. I empower, inspire, and motivate others to go for their gold medal in life as I have gone for mine despite insurmountable challenges. I've had severe juvenile rheumatoid arthritis since only eleven months old. Owing to years of hospitalization between America and China, I received no schooling until age eleven. I started schooling in a special education class in elementary school. Back then, I only knew the alphabets and few simple English; I knew that two plus two equals four and that three times five is fifteen. Other than that, my book knowledge was non-existent. But because of my thirst for knowledge, I devoured everything that was taught and mostly self-taught myself how to read. So after about 180 days of attendance, I achieved grade level in all areas and entered a regular sixth grade class in middle school. I was a high honor student and received numerous art, writing, and academic awards, including the student of the year in sixth grade. Unfortunately, I lost my eyesight at the age of seventeen. I became an author at age twenty, and completed three books within one year. The next high mountain I need to climb is to get the eye surgery to hopefully restore my eyesight. Then I hope to earn multiple science doctorates from Harvard University. My first book is Daring Quests of Mystics, a collection of what I call philosophical fairy tales to relax the mind, body, and spirit, and it depicts my dreams of a utopian world where good is the best magic and where pure goodness is not too good to be true. My second book is The Revelation of a Star's Endless Shine, an empowering autobiography, replete with fifty black and white photographs of my mother and me at the back, to bring humor, hope, and healing. My third book is Dance with Your Heart: Tales and Poems That the Heart Tells, a collection of inspirational and fantasy short stories (fairy tales, fables, and myths) and poems from the heart, for the heart. I co-authored 101 Great Ways to Improve Your Life, Volume 2, with 100 self-improvement experts, including Jack Canfield, John Gray, Richard Carlson, Alan Cohen, and Bob Proctor. If you want to achieve spiritual affinity and ultimately the success and fulfillment that come with it, then read my chapter, Dance with Your Heart: How to Befriend Your Heart and the World Around You, which gently teaches you how to hold hands with yourself and then with others around you. I also contributed to Wake Up...Live the Life You Love: Finding Your Life's Passion, Second Edition, along with Dr. Wayne Dyer, Anthony Robbins, and Brian Tracy. Since I'm blind, I wrote my books using a screen reader, which is a software on the computer, that reads what's on the screen and tells me which keys I type. I type using only my two index fingers, but I manage it quite well typing at the speed of about 60 words per minute. Not only have I written my books but have also successfully completed every self-publishing task, including formatting my manuscripts, entirely on my own. I also design and maintain my own website. Yes, a blind can do all that with just plenty of passion and faith! Well, I am very much looking forward to contributing to the blog! E-mail me from my site if you have any questions or comments...let me know what you'd like me to post. The Write Type is something I've been thinking of doing for the last few years. I started this blog because authors have so many wonderful ideas, tips and stories to share, and I wanted a place where multiple authors could meet. This blog will eventually contain a medley of delectable morsels--some poetry, short stories, advice to other writers or general information about what we are doing. We are a diverse group...or we will be, once I've invited my author friends to join me here. I hope you bookmark this site and visit us often. Tell us what you like, or don't like. Let us know what you'd like to know. Are you an aspiring author? Published author? Closet writer? Or are you an avid read? Is there a question you always wanted a writer to answer? Do you need tips on promoting your books? Email us at cherylktardif (at) yahoo.ca.